At Source Support Services, our entire business is built on representing other companies and essentially becoming their service team. It goes without saying that there’s a lot of trust involved in a situation like this – companies that choose to work with Source expect that we will execute flawlessly and do our jobs with the utmost professionalism. From day one, we never take that confidence for granted; we’re always working to ensure that our customers will be proud of our work on their behalf. As we kick off our working relationship, we’ll get to know your business in a very deep, detailed fashion. We work hard to understand what your clients want, and what it takes for your business to succeed and grow. We determine what skills and abilities are necessary to perform superior services on your behalf, and we find the best fits for those needs within our global network of service professionals. We then work with you to develop training modules and educational materials so that our team can get to know your offerings in-depth. For each service event, we handle everything from start to finish. Our team of seasoned Support Engineers takes the initial call and routes it to the right field service professional. They perform the requested services, report back and ultimately close the engagement. At no point does anyone from your side need to be involved, but you’re welcome to manage and monitor our engagements at your discretion. We act as if we were your actual service team; we can even answer the phone with your company name. We assign a dedicated service representative to your business, to ensure consistent follow-through on service calls and communication with you about how everything is going. Our Training team builds modules and courses for our service professionals to ensure they receive ongoing training and professional development. This ensures their skills continue to expand and evolve, that they are equipped with the latest industry best practices and more. 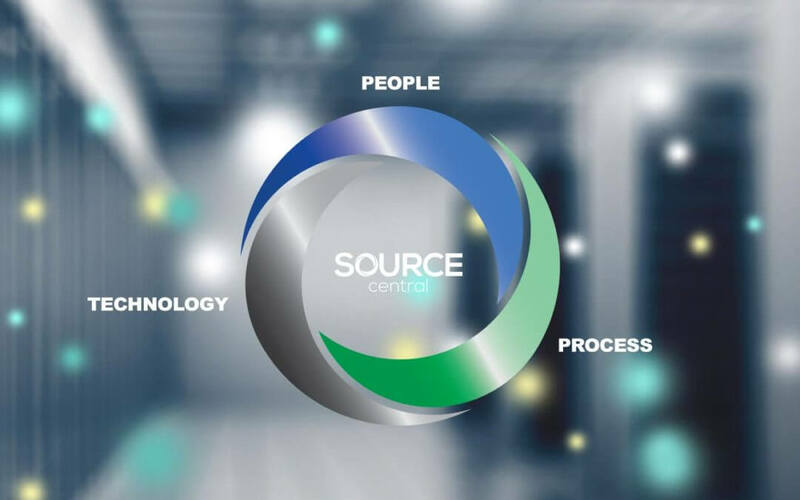 Our automated service management platform, Source Central, enables you to manage the entire experience through a single pane of glass. At any time you can monitor how service calls are proceeding, see how our team interacts with your customers on your behalf and more. This is a level of transparency and oversight that we’re proud to offer – and that no one else can deliver. At Source, we care deeply about helping you succeed. For more information on how we could work with you to elevate your business, please contact us. To keep up with all of Source’s latest news and conversation, follow us on Twitter, Facebook, or LinkedIn.